If you’re after a roof rack that is adaptable, easy to use, strong and light, then clip-on roof racks are for you. No need for specialist fitment – you can install DIY to your vehicle in a few quick, easy steps. This roof rack is designed to fit gutterless vehicles and is completely remove-able. 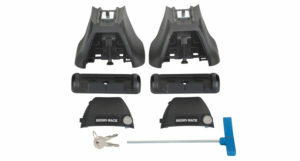 Safe and exclusive roof rack feet for cars without railings or fixation points. 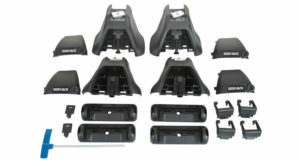 The RLKVAH is the Leg kit to be used in the Rhino-Rack Vortex 2500 half roof rack system. 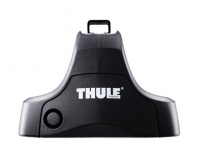 The kit contains 2 legs and keys. 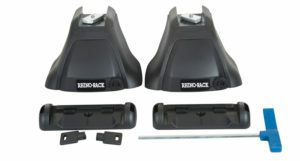 The RLKVA is the Leg kit to be used in the Rhino-Rack Vortex 2500 roof rack system. The kit contains 4 legs and keys. 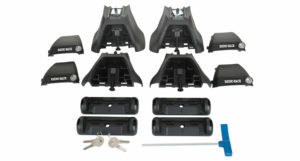 The RLKHDH is the 2500 Leg Kit for the Heavy Duty Bar. Sold as 2 legs for 1 bar systems. The RLKHD is the 2500 Leg Kit for the Heavy Duty Bar. Sold as 4 legs for 2 bar systems.